Many Safety devices send an electronic signal indicating the state of the device. However most machines require discontinuity in the safety circuit to initiate machine shutdown or stoppage of hazardous motion. Smartscans' multi-function modules provide this vital interface. 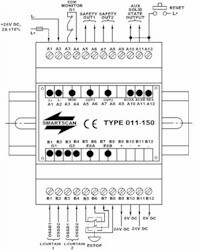 These safety modules incorporate dual, failsafe, monitored relays that can be applied to the machines stopping circuits initiating a shutdown signal. 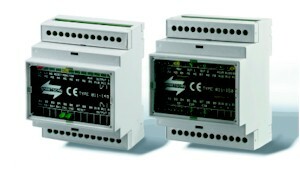 Modules for single devices and multiple devices are available. Other options include muting functions, reset capabilities and external device monitoring. 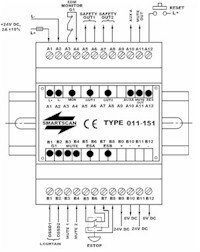 Auxiliary electronic output switches for status indication etc. 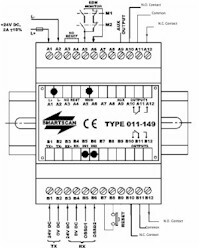 Auxiliary relay output switch for status indication etc.